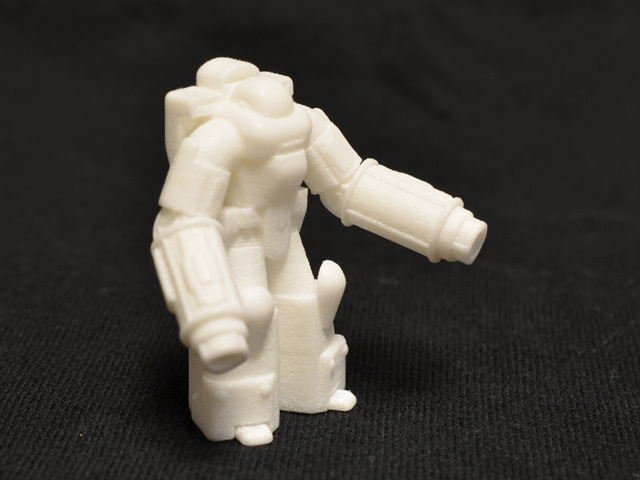 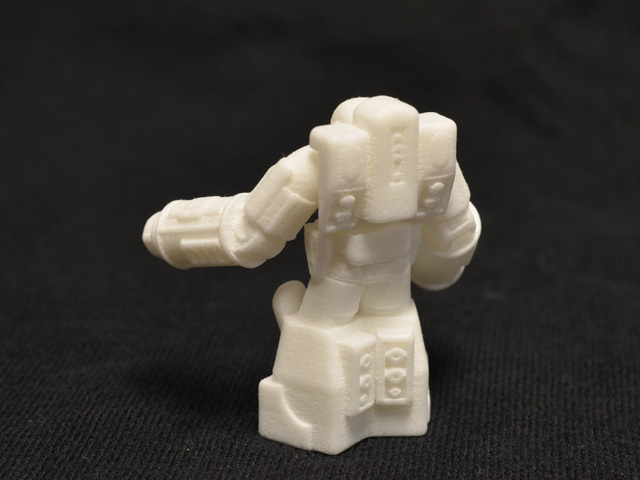 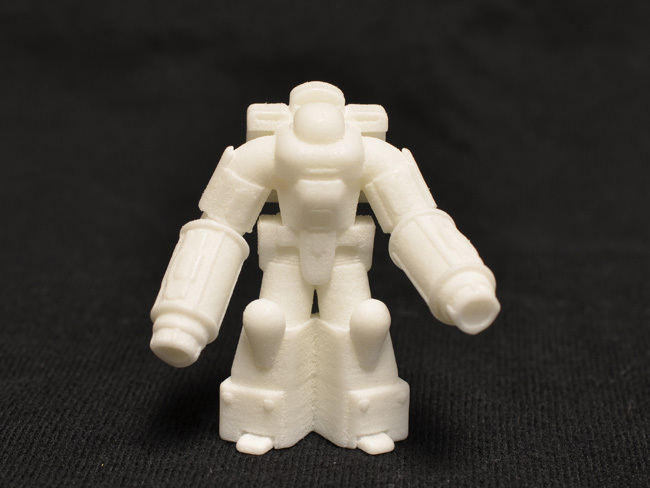 In Adventures in Shapeways Part 2 I showed off the very first test print of the Bounce Tortoise power armor. 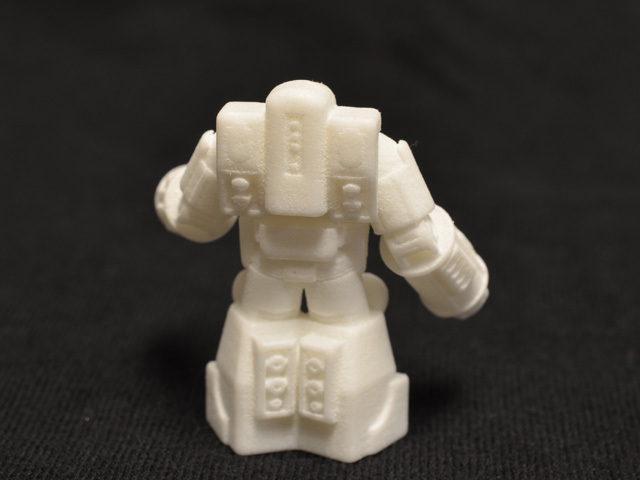 A new shipment came earlier this week with much more exciting prints. 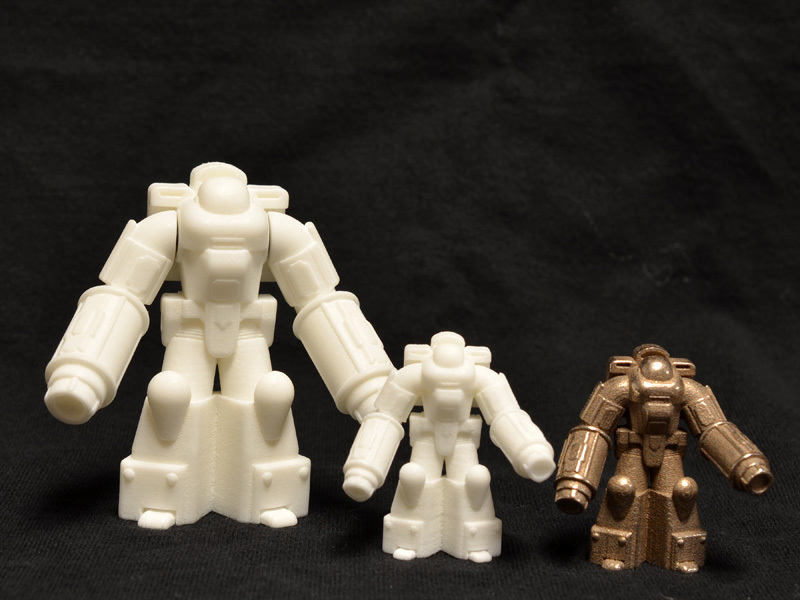 The middle print from the first photo is a WSF Polished print of the PBT-000 Bounce Tortoise near final version in 1/60 scale. 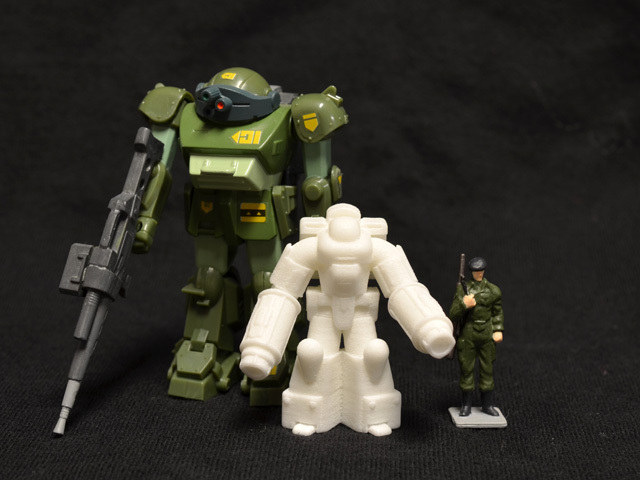 Standing the Bounce Tortoise next to the ubiquitous Scopedog in 1/60 scale and a 1/60 scale human reveals a bit more about the size of the design. 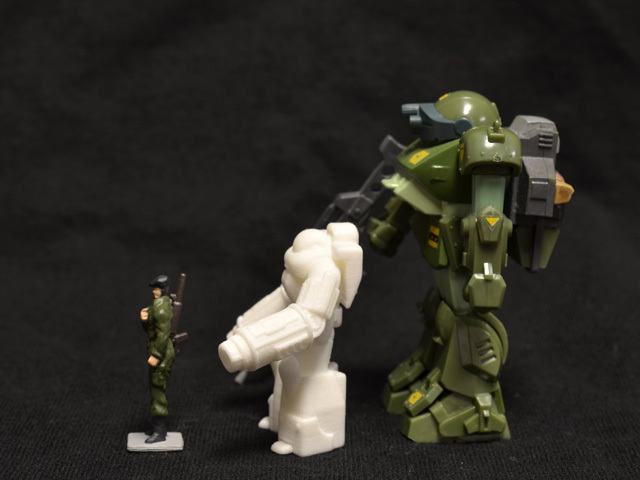 1/60 is such a common and important mecha toy scale that I knew I had to make a figure in that scale. 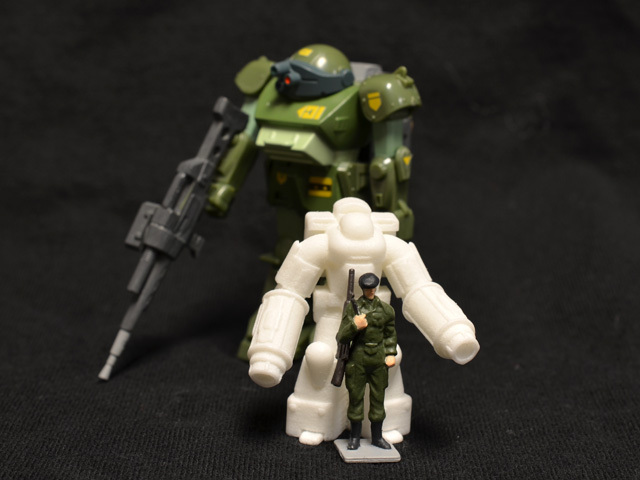 Now I have a Bounce Tortoise that can interact with Scopedogs, Destroids, Valkyries, Patlabor mecha, Gundam, and so much more. 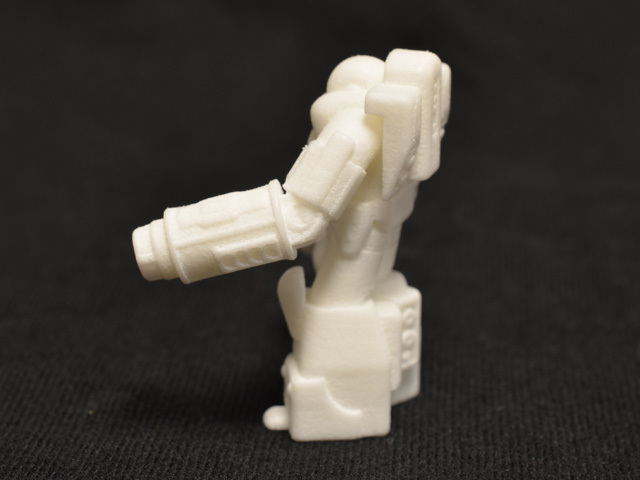 I cannot get over how sharp the detail prints even on a print only an inch and a half tall, and even in such a low-detail material.